It might surprise some of you to find a post that has nothing at all to do with food, but if you know anything about me at all, you know that besides food, reading and movies are my next biggest passions. I have been a film lover from an early age. My Dad was too: He encouraged me to watch all the great movies with him, especially Westerns, which he loved, and comedies (Monty Python was a particular favorite). He didn't shy away from foreign films and was interested in everything. I can still remember watching Citizen Kane in my preteen years and having my young mind blown over the revelation of "Rosebud." I think it was fitting that just as I was beginning to discover that layers of symbolism and imagery were put on the page on purpose and for a reason, I was also getting acquainted with those same elements in film. Books and movies, in my mind, birthed my passion for writing and storytelling. But movies are true magic to me. When it all comes together in harmony; the writing, acting, direction, cinematography, and score; a feeling of euphoria sweeps over me. I can still remember that very first feeling of movie magic euphoria vividly, because it happens to be one of my first clear memories of life. I was three, and it was the first movie I ever saw in a movie theater: E.T. I can recall sitting there in the darkened theater, clutching a bag M&M's in my tiny hand (it should have been Reese's Pieces, but it wasn't), staring at the screen in awe and wonder and loving every moment. So that's a little backstory into my passion for film. It should come as no great surprise to my readers that I am also a Christian - I've talked about my faith a few times here on the blog. But the reason I'm writing this particular post is because there's been an issue in Hollywood now that has vexed me for a very long time. I'll go ahead and call it The Christian Movie Problem. "...The risen Jesus (Juan Pablo Di Pace) is so soft, so beatifically delicate, he might blow apart with a sneeze." "When will Hollywood give us a biblical epic we can believe in? Something that isn't cheesy and evangelistic. Something that isn't irreverent and revisionist. Something that doesn't have Britishy thesps and Heston-esque himbos playing Middle Eastern people and Italian conquerors. Something that doesn't have Russell Crowe going psycho. Something without Mel Gibson." "YES!" my mind screamed. This was the whole Christian Movie Problem in a nutshell. Either the movie is 1) Cheaply made with sub-par actors, a terrible story line, and bad music (think the Left Behind movies - old and new versions), or 2) Made a little bit better by studios with some money who can pay B-grade actors, a good story line, and mostly Christian rock soundtrack bursting forth, (think Kirk Cameron's Fireproof) or 3) Made by a huge, well-known studio with lots of money, incredible actors and a famous director, yet end up missing the mark completely because they simply can't (or won't) tell the story the way it reads in the Bible. They tend to be revisionist. And just plain strange (Here we have the likes of Noah and Exodus: Gods and Kings). But here's where Jensen and I part ways, because I actually do think that Mel Gibson's The Passion of the Christ was one of the best movies ever made about Jesus. Take Gibson the man out of the equation, and all his personal wackiness and racism with him, and you're left with a truly stunning, well-made, soul-wrenching film. Was the flogging scene too much? Yes. I hate that scene. But overall, it is an amazing film, bolstered by great direction, great writing, excellent pace, beautiful cinematography, and a performance by Jim Caviezel that no one, in my mind, can ever match. He was totally believable as Jesus, and not just because he was speaking in Aramaic. It was a risky, gutsy, beautiful film that worked. Because of The Passion's enormous success, Hollywood, being what it is, realized that they had been missing out on an entire market. Smaller films by the likes of Kirk Cameron and the studios that brought us Facing the Giants started popping up on the radar. "Christian" movies started getting better. But then, as it so often does when faith and money get into bed together, the pendulum swung back violently. Yes, more Christian movies were getting made and widely distributed (The Lion, The Witch, and The Wardrobe, while not overtly Christian, comes to mind), but a two-fold schism began to occur. On one side were Christian films wherein the production was slightly better, but the writing and acting never caught up because they were afraid of missing the Message (and disappointing their fan base of Christians). On the other side were massively over-blown movies from major studios that disappointed nearly everyone who watched them - the faithful and faithless alike. Studios hedged their bets that Christians would want to see these Biblical stories get a makeover. Once we got wind of the first reviews, most of us decided not to. "But A.D. is one more piece of Christian pop that's poor in creative spirit and poorly served by true-believer passion. The production is chintzy, the acting is too broad or too earnest. The writing dotes on emotions and lacks sophistication. Superficial characterizations abound...A.D. is more proof that it's time for Christians to tell their stories with more artistry." Here's what I don't think Hollywood understands about Christians: The vast majority of us like our pop culture just like everyone else. We love good movies. We love good books. We love good music. We don't necessarily need pop culture to be tailored to our faith because most of us don't live in a false, feel-good, saccharin-y sweet bubble where a lot of that media seems to spark from. We live in this world where the gritty reality of tragedy, pain, and loss reside, all the while knowing that we aren't really meant to be here, and that this is just a beautiful waiting room on our journey home. Can you capture that on celluloid the right way? I think a lyric from Bob Marley sums up my frustration about how Hollywood views Christians: "Don't talk to me as if you think I'm dumb." Let me put it this way: Using Christian Bale (or any other good-looking, excellent British thespian) and massive amounts of CGI does not guarantee that I'll hand over my hard-earned money to see your "Biblical" movie. And on the other side? My Christian friends and I can spot a crappy movie a million miles away. The trailers are the tell. It's in the dialogue. It's in the acting. It's in the way you put a Christian pop icon from Duck Dynasty in your movie because...why? We want the real thing. We want the movie magic that can capture the agony and the ecstasy of our very real relationships with Christ. And we don't need your heartfelt, schmaltzy monologues to "save Christmas" for us either (I'm looking at you, Kirk Cameron). So, how to fix this problem? Start with your writers. Hiring good actors won't mean a thing if the script they have to work with is terrible. Start with good material. The rest of it might just be simple. Major Studios: Look beyond the money and get back to the Message. You don't need lavish budgets and well-known British actors to play Biblical heroes. There are plenty of actors of Jewish and Middle Eastern descent who are excellent at their craft. What you do need is a great director who has great vision and wants to stay on-point with the Message. Christian Studios/Filmmakers: Look beyond the Message and get back to the art. Art is what you're lacking. The beauty of film and filmmaking has been lost in a dire need to retain the Message, but I firmly believe that we can, and should, have both. Don't stuff your film with bad dialogue, and emotionally-wrought Christian rock. Choose a band, like Third Day, whose music is so fantastic, and collaborate with the musicians for a soundtrack that is by turns artful and meaningful, but not overt. A Walk to Remember did this very effectively with Jon Foreman of Switchfoot. Or, both sides could start working together. What would it have been like if, say, Angelina Jolie had cut a lot of unnecessary torture scenes from Unbroken and catapulted us into the incredible second half of Louis Zamperini's life, when he, rocked by PTSD, walked into a revival tent, heard Billy Graham speaking, and turned his life over to Christ? A fantastic movie, with a fantastic Christian message? We can get there. We just need some compromise, and faith. P.S. 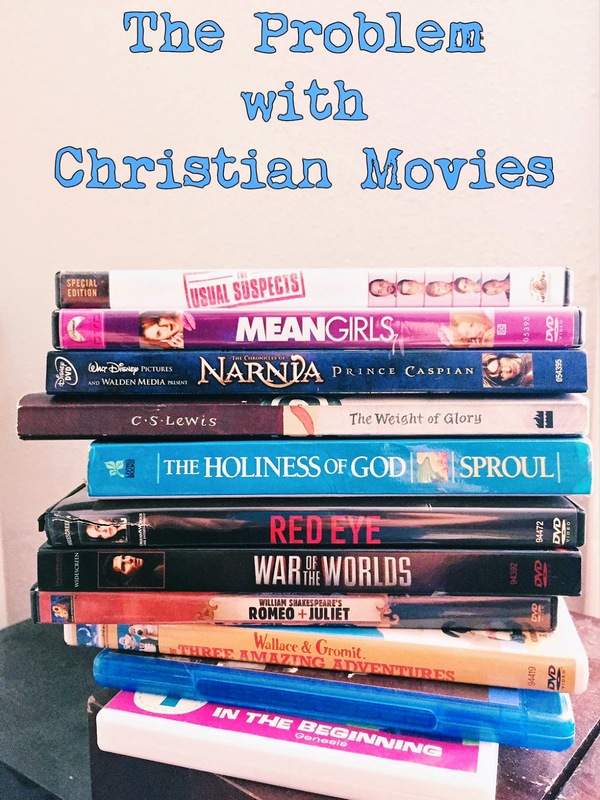 - I didn't address old movies in this post like The Ten Commandments or The Robe because I wanted to stay on topic as far as current "Christian" and "Biblical" movies. But I would like to point out that given the time period when they were made, a lot of them were wildly successful, and well-done. Do they hold up today? That's in the eye of the beholder. Yes! I think in addition to pop culture, most of us appreciate ART. Good, quality writing and beauty-- things that we often get in a watered down version in order to please a mass group and not offend someone's theology. 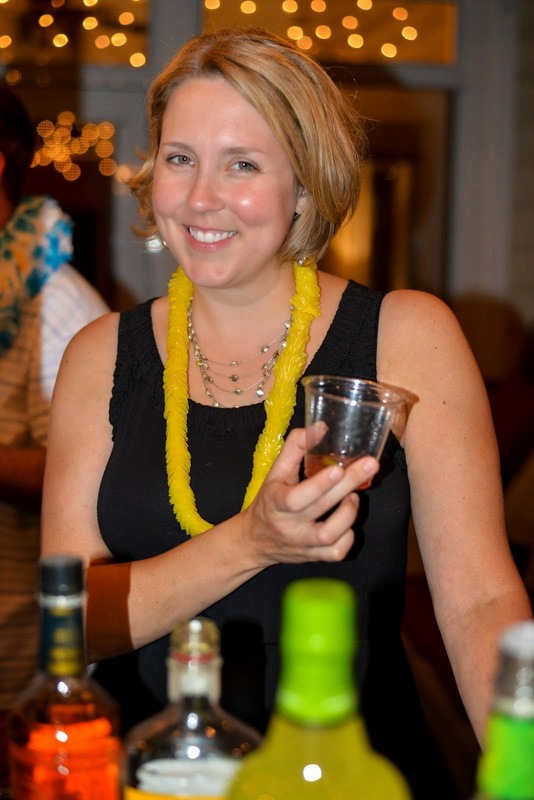 Jenna - just discovered your blog today when Doc Jensen tweeted a link to this post. I have been whining about this very same thing for years ... but you have absolutely nailed the problem. I want so badly to like "Christian" movies ... but they are just so poorly done. Here's a book with stories that should make us gasp, and Hollywood give us a snooze-fest or something that makes me want to throw my popcorn at the screen in frustration. Thanks for articulating this so well - perhaps someone who can put it into action will see it. Shall we pray? Thank you so much for reading and commenting, Mary Beth. I knew that I couldn't possibly be alone in my frustrations. I believe that we can have what we're looking for if we make some noise about it, and getting the word out that we're demanding more is one way. Prayer is an excellent step as well. your'e my new best friend. Not sure how I missed this one. Or the Omelette post. Can't believe i didn't think to bring you our farm fresh, Organic, free-range - chickens-are-human-too, eggs. Next visit.